Generally, I try to keep my gadgets pristine and scratch free. I will admit to not being a big fan of the glossy notebooks, netbooks, and other gadgets that are on the market today. I much prefer a nice matte finish or brushed aluminum. You just can’t keep a notebook with a glossy lid clean, they are always covered with smears and fingerprints. If you have had it with your glossy gadgets, Lifehacker has a way for you to turn that glossy gadget into a matte finish machine that looks similar to a brushed machine. 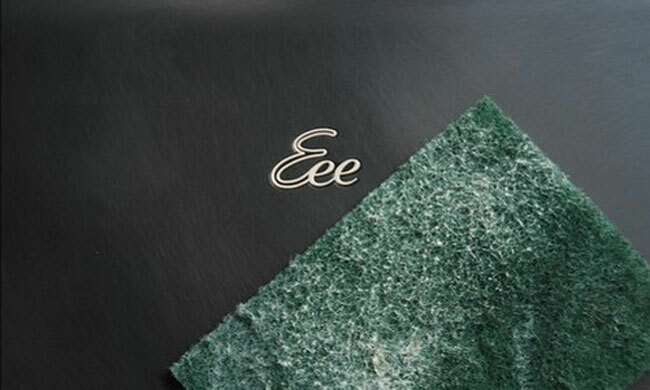 The process is very easy and requires you to simply get a green scouring pad like you would use in the kitchen or steel wool and start rubbing. The glossy finish will be eaten down and you are left with a matte finish that shows fewer fingerprints. If you scrub too much you could cause damage though.